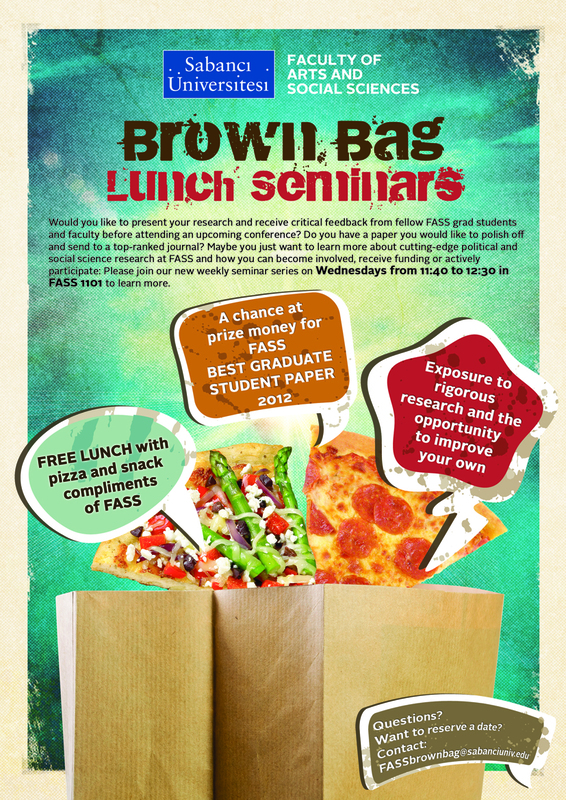 This week's Brown Bag Seminar talk will be given by POLS MA student İlker Aslan, this Wednesday (October 3) at 11:40 in FASS 1101. The topic of his talk is: "Turkish Foreign Policy: Exploring Trends in Electoral Manifestos"
Abstract: Is Turkish foreign policy becoming increasingly complex and salient in domestic electoral party politics? Has the past decade of Justice and Development Party (AKP) led to a dramatic shift in the dimensionality of the foreign policy debate or the strategic positioning of opposition party platforms? Our contribution analyses the foreign policy promises made by the AKP to voters in their electoral manifesto against the realities of these claims and the responses of the two largest political party contenders. Our analysis suggests that Turkish parties try to position themselves strategically in salient foreign policy issues and try to produce alternative policies and reveal the weaknesses of their rivals to the constituents. In addition, the salience of these issues changes over time as a result of external shocks and this also affects parties' relative positions regarding specific issue dimensions. Our study illustrates how foreign policy affects domestic (electoral) politics.